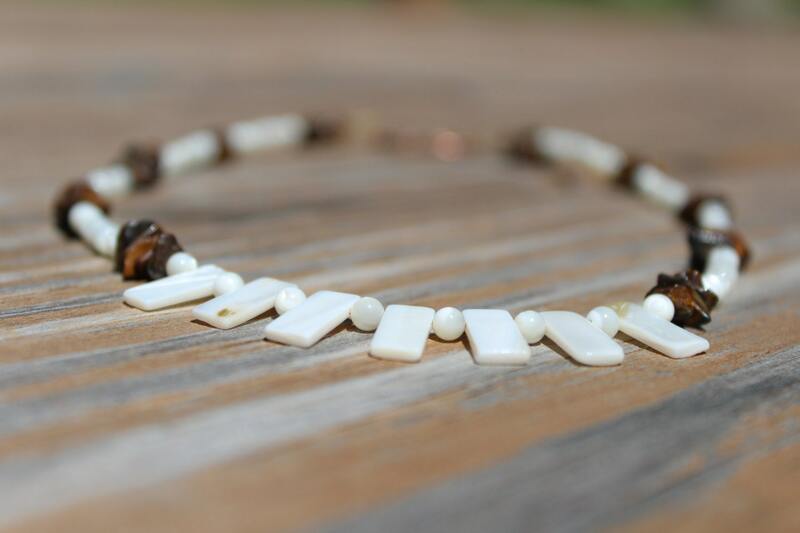 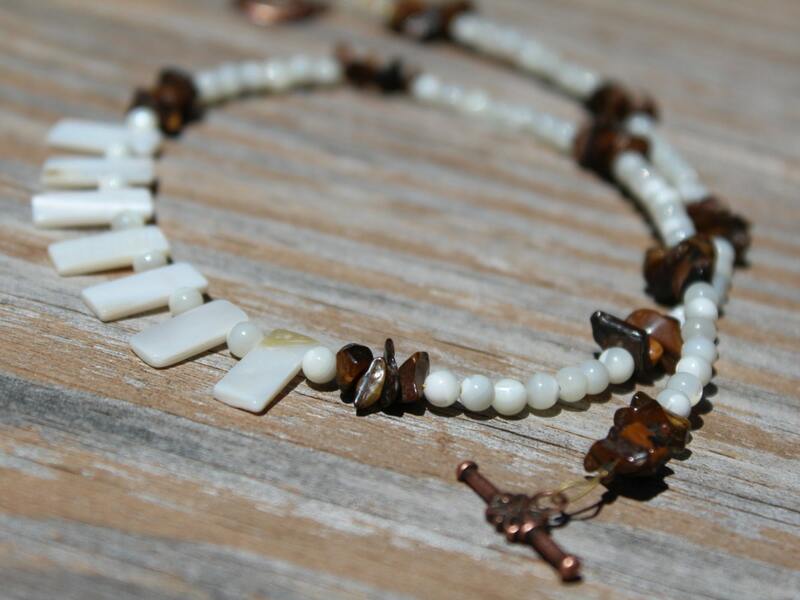 Run out to the beach in this simple but lovely, mother of pearl and tiger eye short beaded necklace. 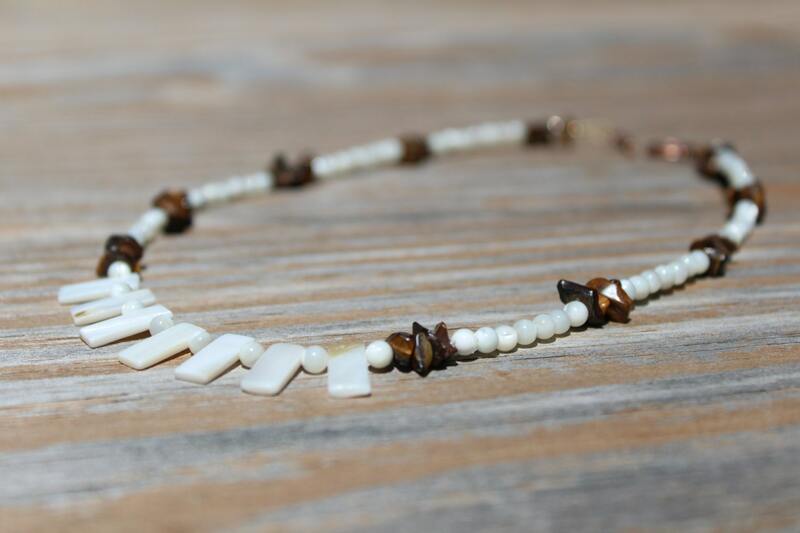 Light in weight, natural in look, and beautifully unique! 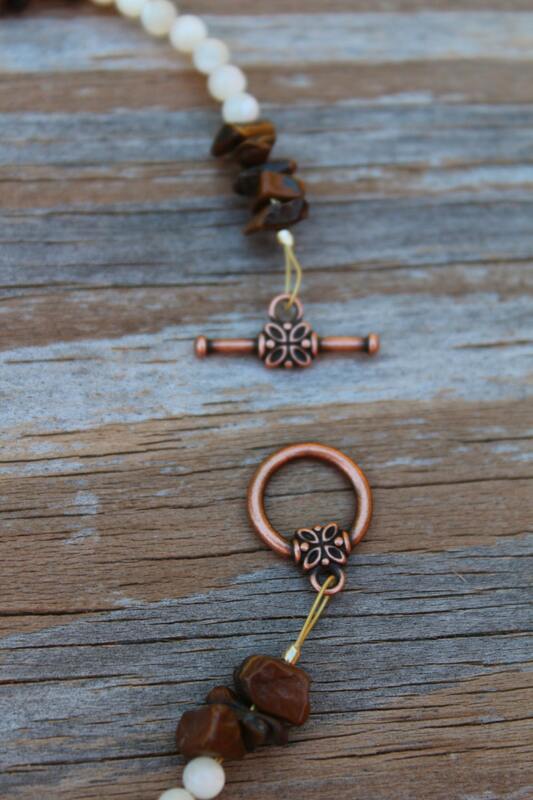 This necklace has an adorable copper finish toggle clasp and measures approximately 17 inches in length. 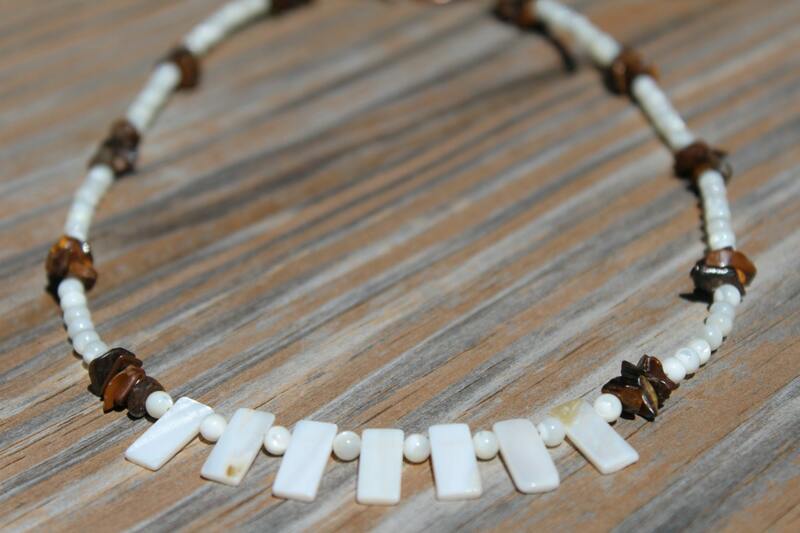 Add a little "roar" to your accessories with this one!